ATLANTA (AP) — Strict voter registration requirements, polling place confusion and other obstacles Georgia voters faced in 2018 show why federal oversight of elections is still needed in places with a history of discrimination, said several people who testified Tuesday during a congressional field hearing. Democrat Stacey Abrams, who lost her bid for governor last fall, told members of a House subcommittee about myriad issues that she says disenfranchised certain Georgia voters in last year’s midterm election. 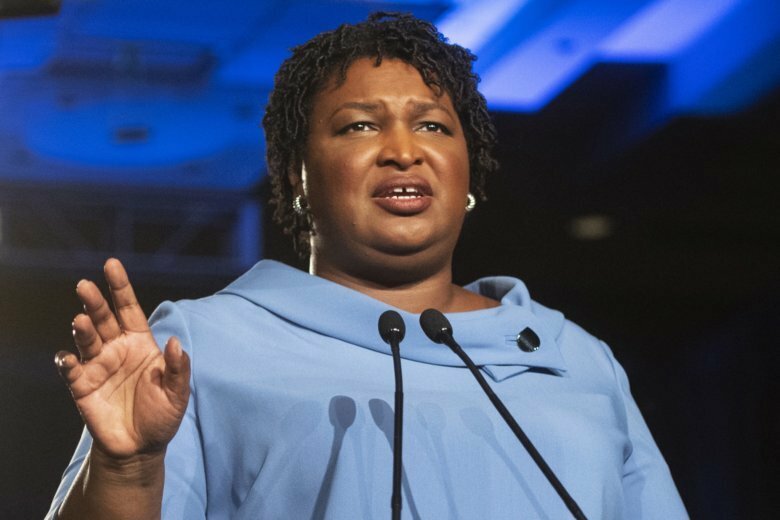 “Across the state, voters faced obstacles that shook their confidence in the electoral process,” Abrams said at the hearing in Atlanta. In her testimony, Abrams said existing laws are not enough to protect voters and that more oversight is needed of state and local election officials. Rep. Marcia Fudge of Ohio, who chairs the House subcommittee, said Democrats are gathering evidence of voter irregularities and suppression. The Georgia hearing was the second of several field hearings planned around the country. Their goal is legislation that would restore key sections of the Voting Rights Act that once required election officials in all or parts of 14 states to receive federal approval before making changes to the voting process. A 2013 U.S. Supreme Court decision tossed out the provision used to determine which jurisdictions needed federal oversight of elections. But it left open the possibility that Congress could take legislative action to update this process. The lone Republican on the subcommittee, Rep. Rodney Davis of Illinois, did not attend Tuesday’s hearing. As a result, Republicans did not call any witnesses to testify. A spokeswoman for Republicans on the committee said Davis was focused on the committee’s current review of H.R. 1, a bill introduced by Democrats earlier this year. It includes large-scale voting reforms, election security upgrades and changes to campaign finance laws and Democrats hope to advance to a floor vote as soon as possible. Others who testified offered examples of how gerrymandering, cutbacks to early voting and polling place closures in Georgia had harmed voters. One was a Fulton County voter who said she was placed on an inactive voter list despite having updated her address with her local election office and voting in a recent election. Sean J. Young, legal director for the ACLU of Georgia, cited numerous lawsuits filed in the state over the actions of local election officials. “Playing whack-a-mole is not a sustainable strategy to fight against voting discrimination,” Young said. Abrams said some 50,000 people had reached out to a voter protection hotline in the 10 days after the November election, in which she notably declined to concede but rather said she would accept the results and advocate for voting reforms in the state. She has frequently criticized Gov. Brian Kemp, a Republican who at the time oversaw elections as secretary of state, and has been embraced by Democrats for her advocacy on behalf of voters. Abrams has said Kemp implemented policies such as “exact match” that unfairly required names to match across certain state records and enabled an overly aggressive removal of voters from the rolls. Kemp has defended his actions as secretary of state, pointing to an increase in voter registrations and turnout. Abrams said Tuesday that an increase in turnout “cannot be allowed to mask a more troubling trend” of obstacles at the polls. Kemp’s office did not respond to a request for comment about the hearing.